While love for Joseph grew, so also did hostility. At the age of 38, he was murdered by a mob of 150 men with painted faces.4 While the Prophet’s life abruptly ended, the good and evil spoken of Joseph was just beginning. Many of those who dismiss the work of the Restoration simply do not believe that heavenly beings speak to men on earth. Impossible, they say, that golden plates were delivered by an angel and translated by the power of God. From that disbelief, they quickly reject Joseph’s testimony, and a few unfortunately sink to discrediting the Prophet’s life and slandering his character. Jesus said, “Bless them that curse you, … and pray for them which despitefully use you, and persecute you.”12 Let us offer kindness to those who criticize Joseph Smith, knowing in our own hearts that he was a prophet of God and taking comfort that all this was long ago foretold by Moroni. We might remind the sincere inquirer that Internet information does not have a “truth” filter. Some information, no matter how convincing, is simply not true. Sadly, they left too quickly. Months later experts discovered (and the forger confessed) that the letter was a complete deception.16 You may understandably question what you hear on the news, but you need never doubt the testimony of God’s prophets. We might remind the inquirer that some information about Joseph, while true, may be presented completely out of context to his own day and situation. Elder Russell M. Nelson illustrated this point. He said: “I was serving as a consultant to the United States government at its National Center for Disease Control in Atlanta, Georgia. Once while awaiting a taxi to take me to the airport after our meetings were over, I stretched out on the lawn to soak in a few welcome rays of sunshine before returning to the winter weather of Utah. … Later I received a photograph in the mail taken by a photographer with a telephoto lens, capturing my moment of relaxation on the lawn. Under it was a caption, ‘Governmental consultant at the National Center.’ The picture was true, the caption was true, but the truth was used to promote a false impression.”17 We do not discard something we know to be true because of something we do not yet understand. We might remind the inquirer that Joseph was not alone in the visit of angels. A sincere inquirer should see the spreading of the restored gospel as the fruit of the Lord’s work through the Prophet. There are now more than 29,000 congregations and 88,000 missionaries teaching the gospel across the world. Millions of Latter-day Saints are seeking to follow Jesus Christ, live honorable lives, care for the poor, and give of their time and talents in helping others. These explanations are convincing, but the sincere inquirer should not rely on them exclusively to settle his or her search for truth. Each believer needs a spiritual confirmation of the divine mission and character of the Prophet Joseph Smith. This is true for every generation. Spiritual questions deserve spiritual answers from God. Recently while I was on the East Coast of the United States, a returned missionary spoke to me about a friend who had become disillusioned with information he had received about the Prophet Joseph Smith. They had spoken several times, and the returned missionary seemed to have some doubts himself as a result of the discussions. Although I hoped he could strengthen his friend, I felt concerned for his own testimony. Brothers and sisters, let me give you a caution: you won’t be of much help to others if your own faith is not securely in place. A testimony of the Prophet Joseph Smith can come differently to each of us. It may come as you kneel in prayer, asking God to confirm that he was a true prophet. It may come as you read the Prophet’s account of the First Vision. A testimony may distill upon your soul as you read the Book of Mormon again and again. It may come as you bear your own testimony of the Prophet or as you stand in the temple and realize that through Joseph Smith the holy sealing power was restored to the earth.22 With faith and real intent, your testimony of the Prophet Joseph Smith will strengthen. The constant water balloon volleys from the sidelines may occasionally get you wet, but they need never, never extinguish your burning fire of faith. To the youth listening today or reading these words in the days ahead, I give a specific challenge: Gain a personal witness of the Prophet Joseph Smith. Let your voice help fulfill Moroni’s prophetic words to speak good of the Prophet. Here are two ideas: First, find scriptures in the Book of Mormon that you feel and know are absolutely true. Then share them with family and friends in family home evening, seminary, and your Young Men and Young Women classes, acknowledging that Joseph was an instrument in God’s hands. Next, read the testimony of the Prophet Joseph Smith in the Pearl of Great Price or in this pamphlet, now in 158 languages. You can find it online at LDS.org or with the missionaries. This is Joseph’s own testimony of what actually occurred. Read it often. Consider recording the testimony of Joseph Smith in your own voice, listening to it regularly, and sharing it with friends. Listening to the Prophet’s testimony in your own voice will help bring the witness you seek. The Testimony of the Prophet Joseph Smith is now in 158 languages. I give you my witness that Jesus is the Christ, our Savior and Redeemer. He chose a holy man, a righteous man, to lead the Restoration of the fulness of His gospel. He chose Joseph Smith. I testify that Joseph Smith was an honest and virtuous man, a disciple of the Lord Jesus Christ. God the Father and His Son, Jesus Christ, did appear to him. 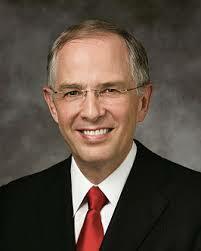 He did translate the Book of Mormon by the gift and power of God. In our society beyond the veil of death, we will clearly understand the sacred calling and divine mission of the Prophet Joseph Smith. In that not-too-distant day, you and I and “millions [more] shall know ‘Brother Joseph’ again.”24 In the name of Jesus Christ, amen.